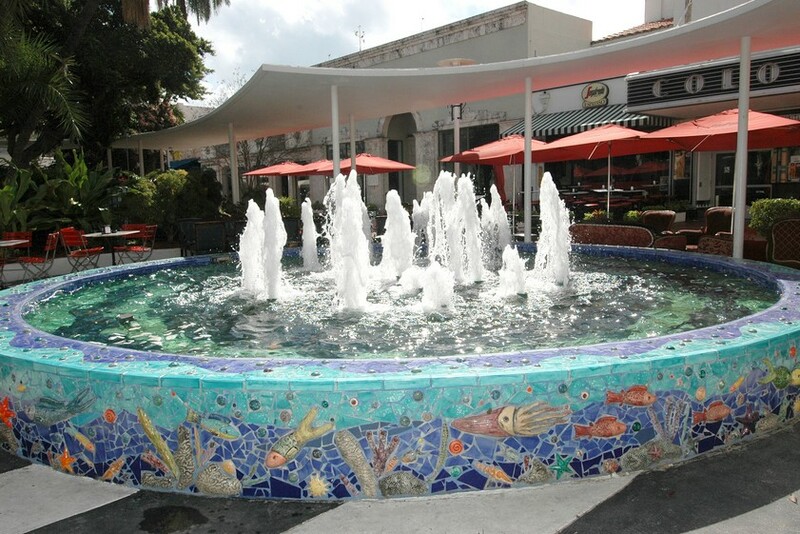 Architect Morris Lapidus originally designed the fountain in the 60’s, when Lincoln Road was closed to vehicular traffic. 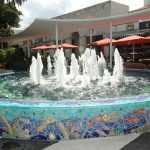 The artist, Carlos Alves whose studio was on Lincoln Road across from the fountain, was contacted by the City of Miami Beach and asked to do an art intervention on the fountain. 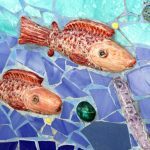 Carlos chose the theme of “Save our Reefs” as the theme of the artwork. 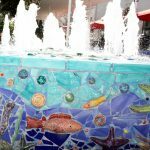 He has always been inspired by the beautiful oceans of South Florida and wanted the public to become aware of the splendor the reefs have to offer. 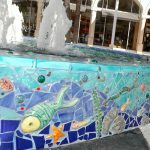 The fish and corals on the fountain were hand-made. 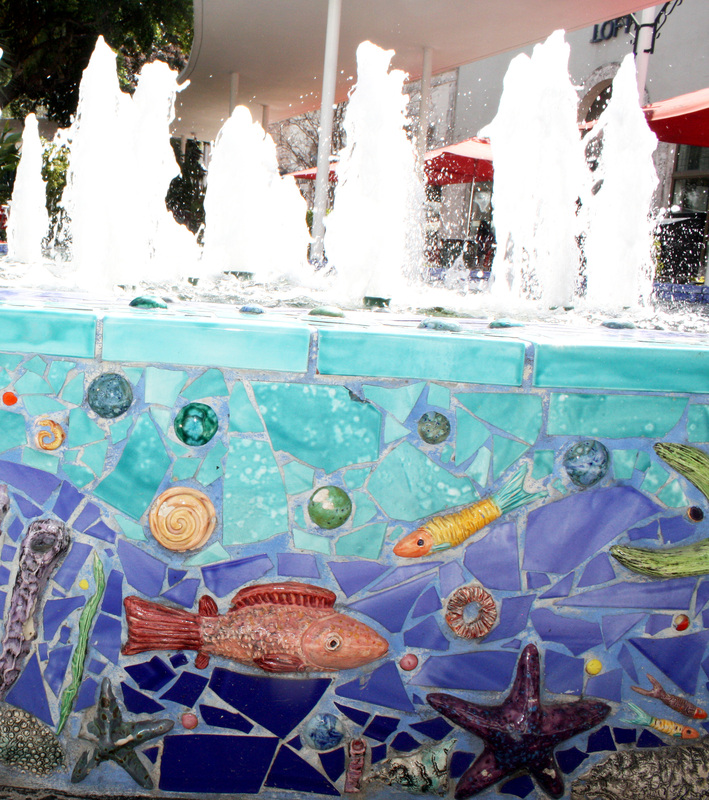 After Carlos sculpted some of the fish, he then used press molds to make multiples of the fish, shells, and the starfish. 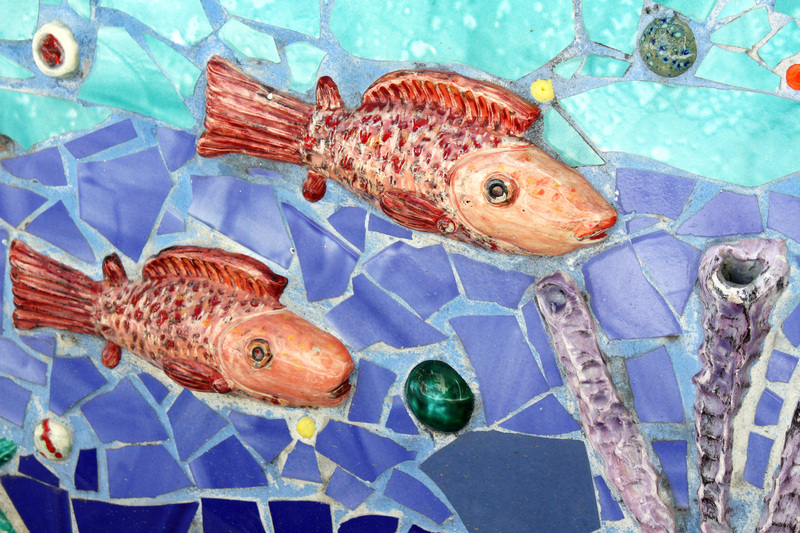 The corals and sponges and many other of the fish were all individually hand-made, painted and glazed. 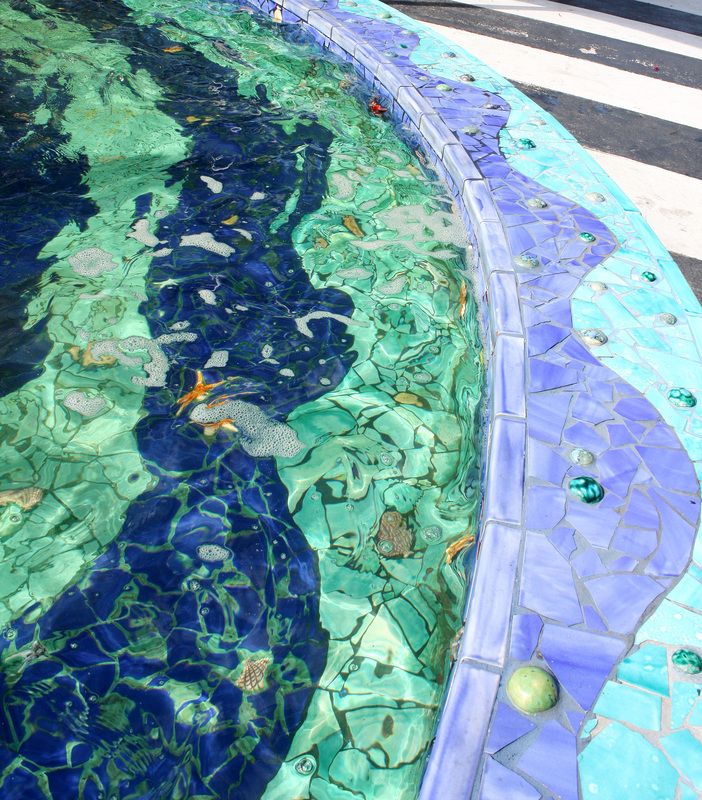 Most of the background tiles are hand glazed to resemble moving water, then broken and installed onto the fountain. 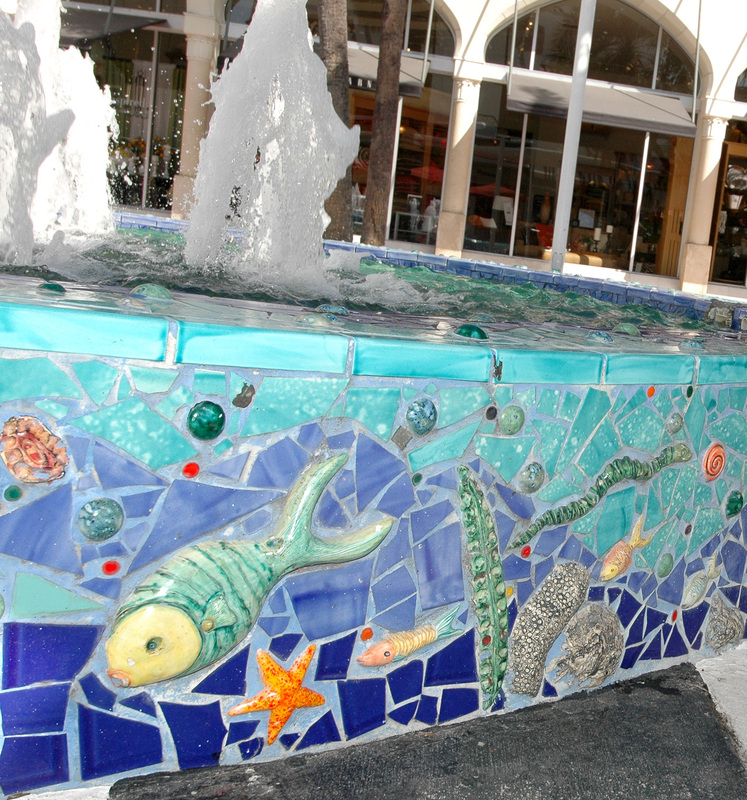 It took a team of eight artists to install the tiles onto the fountain. 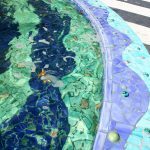 The outcome is awe-inspiring, provides the viewer, and up close look at one of our great natural treasures the coral reef.